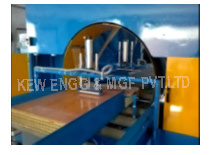 Door Wrapping Machine | KEW ENGG. & MFG. PVT. LTD.
We are leading manufacturer of Door Wrapping Machine.